It's something that almost never happens at all, let alone in front of the camera. 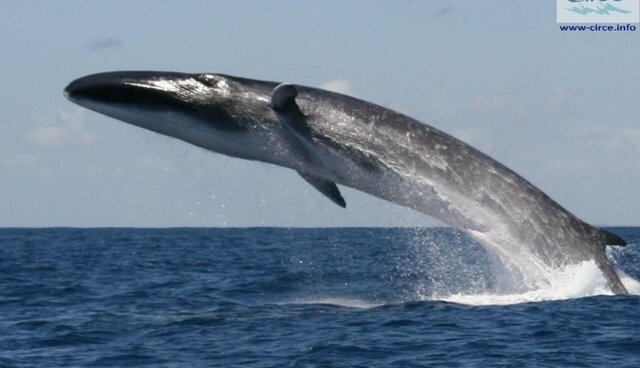 But in a stroke of luck, cetacean researchers on the Strait of Gibraltar last week were able to capture on film one of the rarest and remarkable spectacles in the natural world -- a massive fin whale leaping completely from the water, and in majestic missile-like form. But when they do, look out. "It's a very rare behavior," said Alisa Schulman-Janiger, a researcher from the American Cetacean Society. "It's rarely observed and even more rarely captured on camera. If one does happen to breach, what are the chances that you're going to be ready with a camera?"